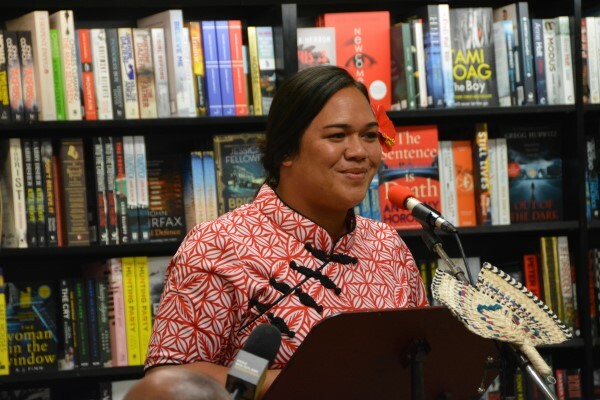 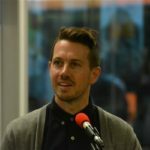 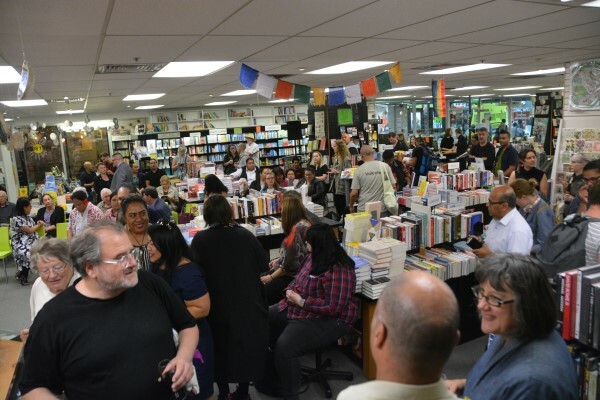 Wednesday the 20th of March – Launch of Samoan Queer Lives, edited by Yuki Kihara and Dan Taulapapa Mcmullin, published by Little Island Press. 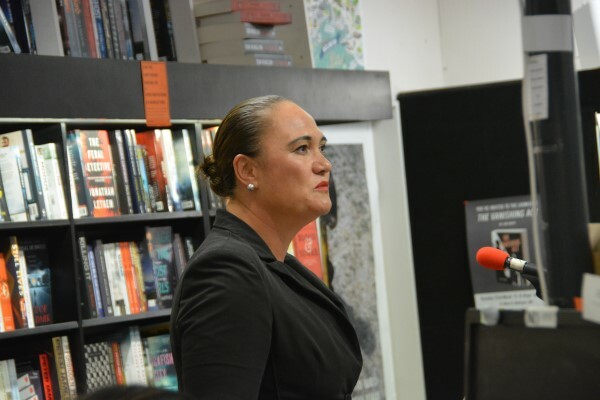 After some crowd building anticipation, proceedings were kicked off by the MC, Ta’i Paitai. 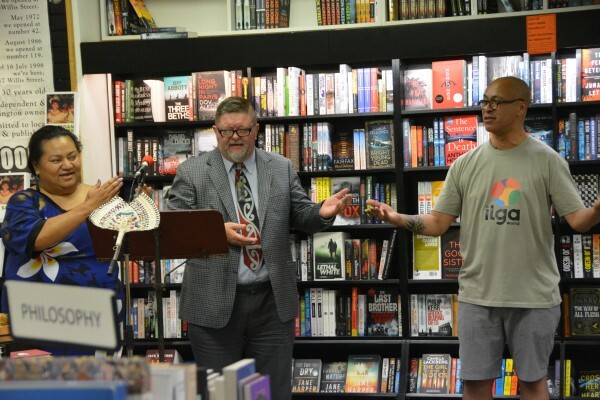 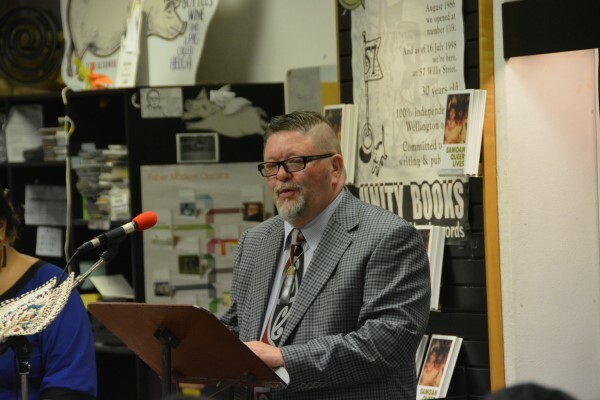 Richard Tankersly of Tiwhanawhana blessed the launch and shared karakia, acknowledging and giving tribute to those who have sadly passed before publication. 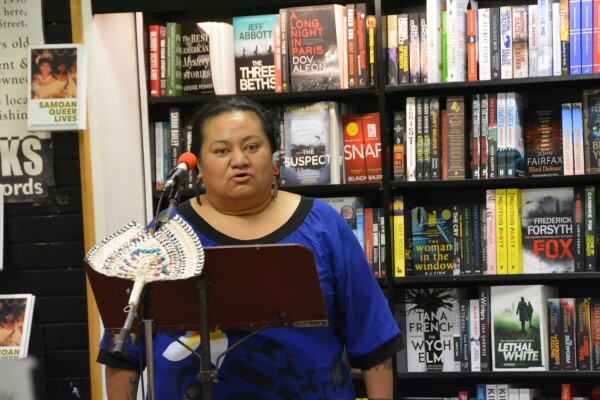 We were then welcomed by Tuiloma Lina Samu on behalf of co-editors Yuki Kihara and Dan Taulapapa McMullin. 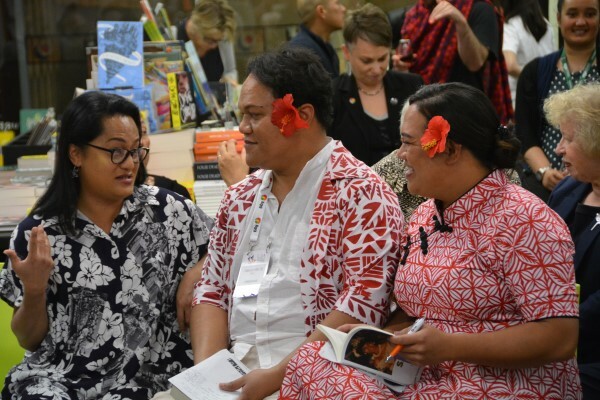 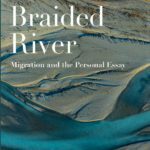 Following on from co-editor Yuki Kihara’s warm address, autobiographical stories from contributor Alex Su’a and Mikaela Saelua were shared. 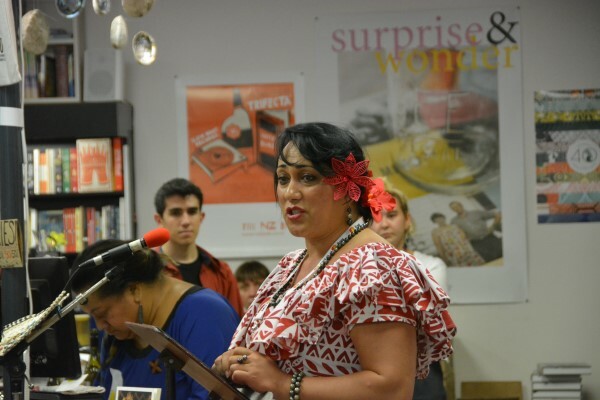 Hon Carmel Sepuloni, Minister for Social Development, graced Yuki, Dan and Little Island Press with her kind words. 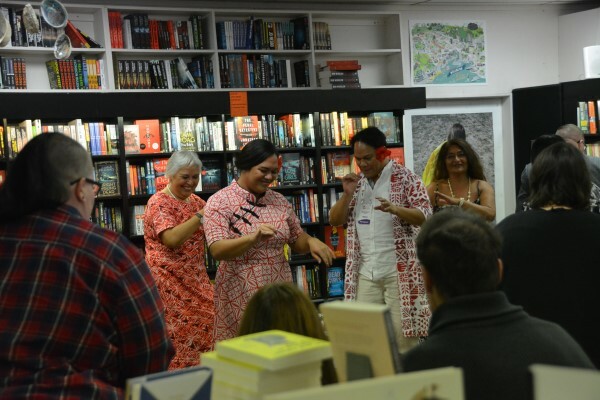 The formal part of the evening concluded with the Taualuga, bringing much merriment. 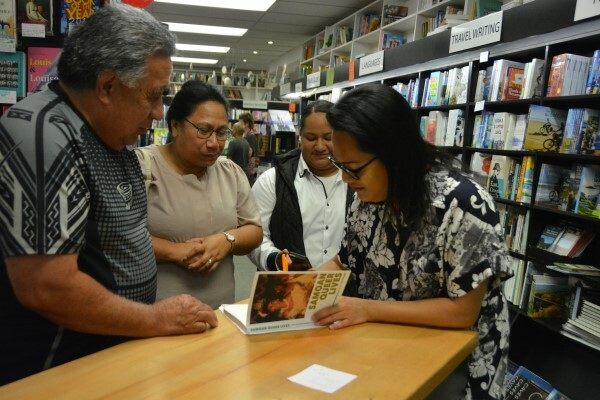 The evening continued with book signing, sharing of stories and plenty of enthusiasm. 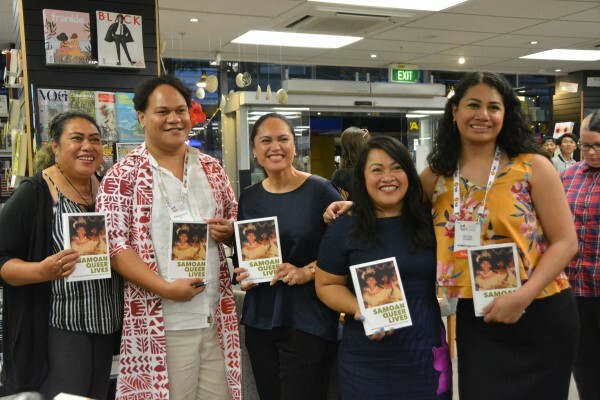 Samoan Queer Lives has been praised as a non-sensationalised documentation of the lives of fa’afafine around the world. 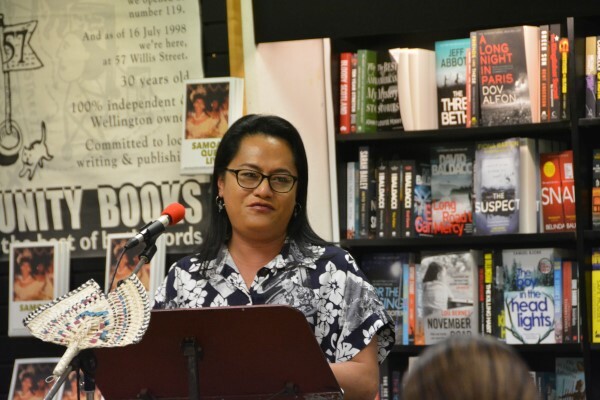 Over the last eleven years, Yuki and Dan have interviewed fa’afafine hailing from Samoa, American Samoa, Hawaii, California and Australia. 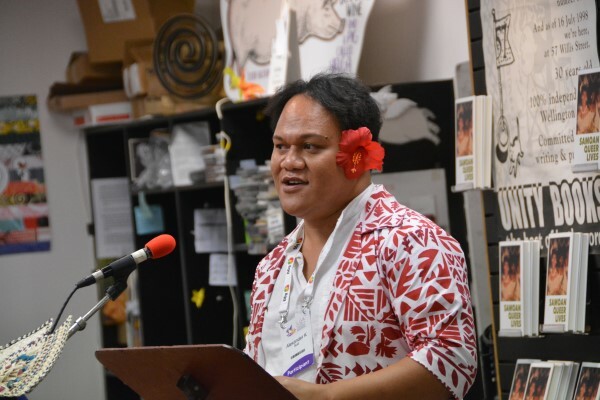 Here we have been given stories of fa’afafine from the people who live the life. 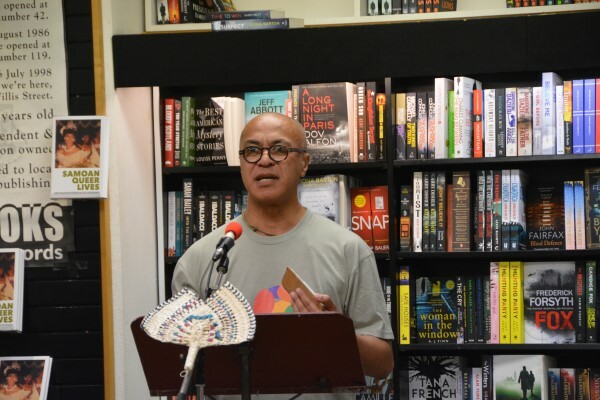 A great work by fa’afafine for fa’afafine. 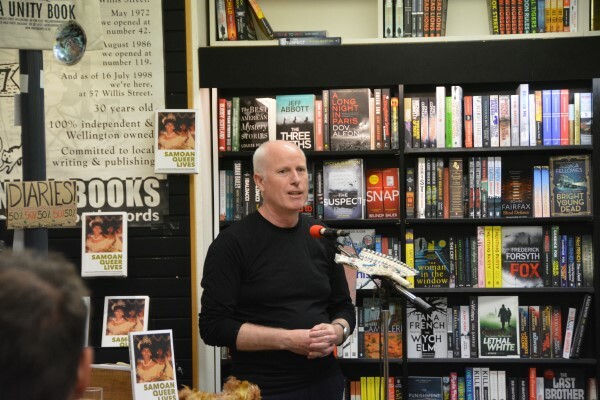 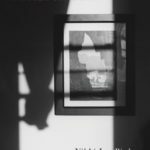 Thanks to Yuki, Dan and Little Island Press for making this all possible. 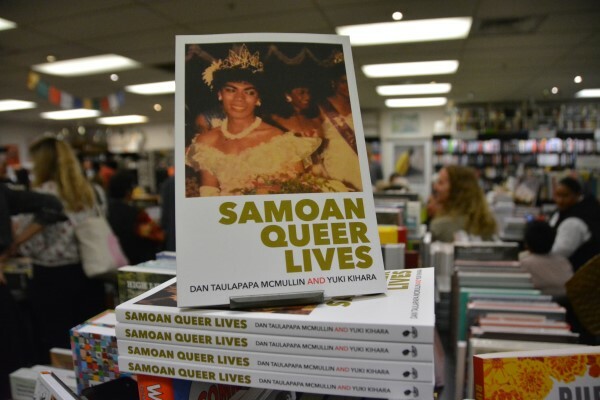 Samoan Queer Lives is available to purchase in-store and at our online shop.